Alabama players' Alex Watkins and D.J. 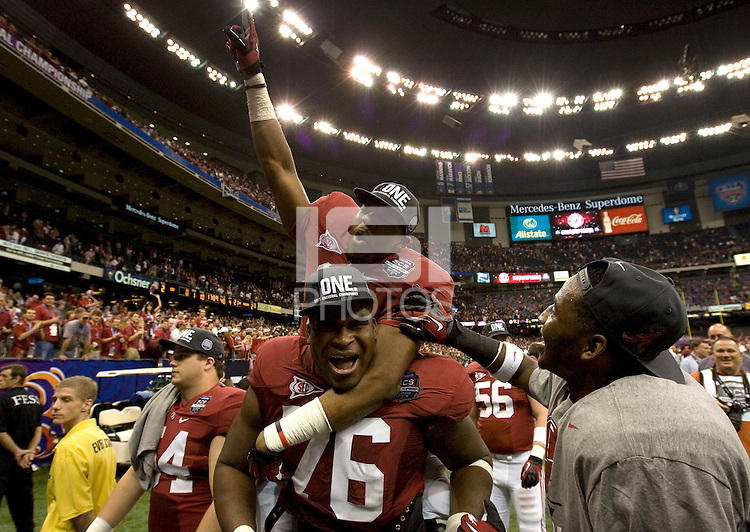 Fluker celebrates after winning BCS National Championship game at Mercedes-Benz Superdome in New Orleans, Louisiana on January 9th, 2012. Alabama defeated LSU, 21-0.